The new range of expeditions includes an industry first fly-cruise experience on smaller and more mobile ships that utilise innovative new technology, making it easier than ever to access the remote wilderness of Antarctica with minimal impact on the fragile landscape. On these immersive expeditions, guests will gain privileged access to the region, embarking on hands-on scientific and environmental experiences with leading conservationists. Guests will also gain access to inaccessible areas of the coastline that few other travellers have visited before. destination on-board three new luxurious ships, which will offer expert insight into the region’s wildlife, dramatic landscapes and the increasingly important conservation efforts. After recognising the growing need for travellers looking to maximise their time exploring the great white continent, Scott Dunn have developed a bespoke fly- cruise programme which can be experienced on both the Magellan Explorer and Greg Mortimer vessels, allowing guests to make the most of their limited holiday time – spending more time on-board and less time travelling. Travellers will fly over Cape Horn, avoiding the rough waves of the Drake Passage cutting out four days at sea before navigating the waters of the incredible Antarctic Peninsula visiting some of the most inaccessible places on earth. The new state of the art vessels will showcase the bestof the beguiling polar region, whilst having as little impact on the environment as possible. Guests will be able to travel onboard ships which utilise unique innovation and technology. 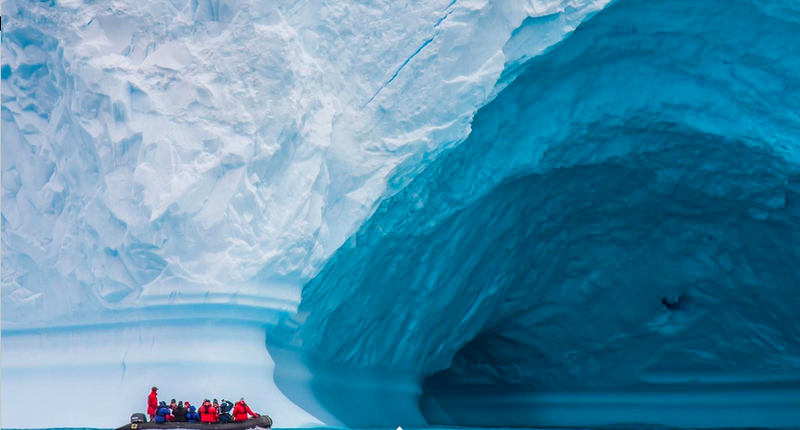 Featuring custom built ice-strengthened hulls, the ships can penetrate the most impassable areas allowing guests to be the first each day to access parts of the peninsula that other larger boats cannot reach. With expert guides, guests can learn first-hand the efforts taking place to protect this fragile eco-system by helping record wildlife sightings and measuring melt-water and ocean conditions.